The Musicians Institute in Hollywood has opened a new Live House theatre, primarily for students and touring musicians, and installed a networked NEXO/Yamaha system to handle all its audio needs. 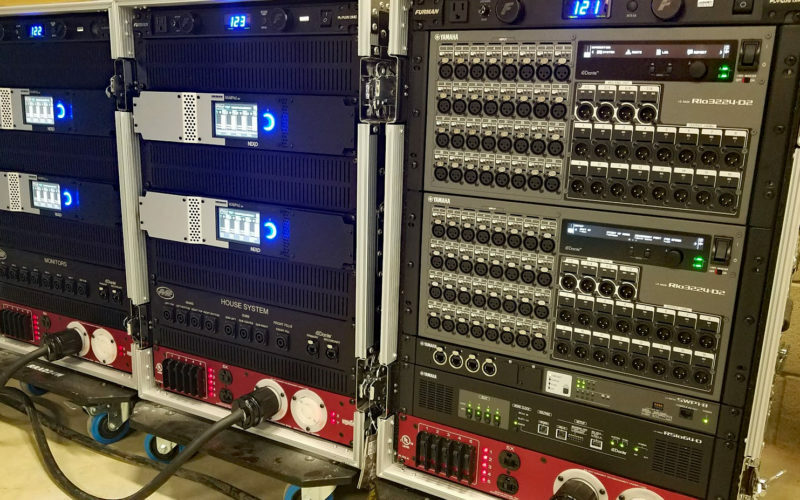 Trinity Sound Company (TSC) of Anaheim Hills, CA designed and installed the system in cooperation with the Yamaha Professional Audio division, using NEXO’s new GEO M10 mid-size line array at its heart. House speakers are 6-a-side arrays of NEXO GEO M10 with LS18-E subs, NEXO ID24 speakers for front fills, and NEXO 45N-12 wedges for monitors along with a LS600 sub. The whole system is powered with NEXO NXAMP4x2 MK2 amps. The system includes a Yamaha CL5 at front of house and a Yamaha QL5 at monitors, 64 channels of Yamaha RIO3224-D2, and 64 channels of sample rate conversion with Yamaha RSIO64-D’s input/output boxes. All audio signals are run via a Dante network with Yamaha SWP1 switches, and wireless iPad control for amps and consoles.